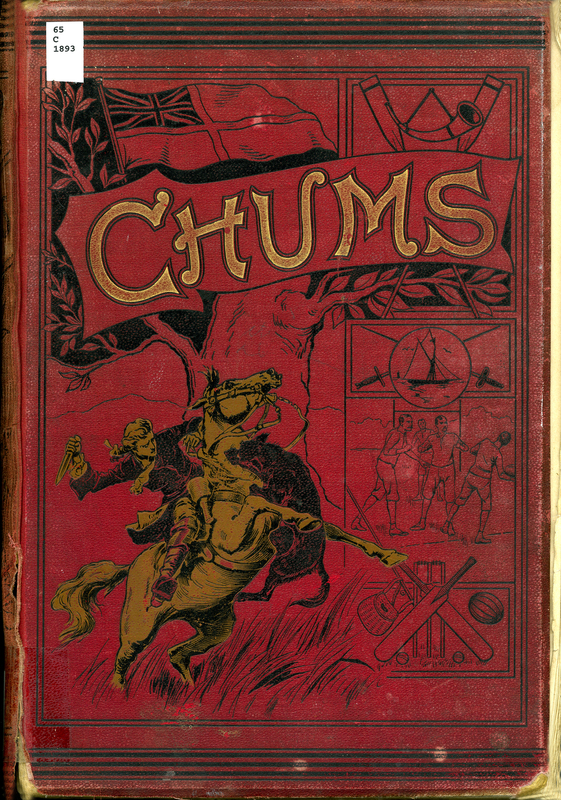 Chums was a weekly paper for boys that first appeared in 1892. It was best known for publishing pirate stories, including an 1894 re-publication in serial form of Robert Louis Stevenson’s Treasure Island (1883). Its weekly papers were gathered into annual editions, which featured decorative crimson covers. Max Pemberton, editor, “Chums,” ourheritage.ac.nz | OUR Heritage, accessed April 26, 2019, http://ourheritage.ac.nz/items/show/10901.